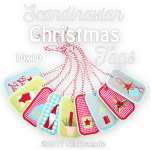 With this Embroidery Design Collection you can make 10 different Christmas Tags. 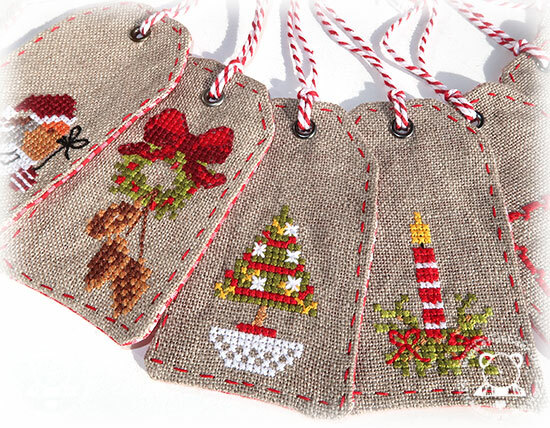 They come with lovely cross stitch motifs that look like they were handmade. The tags perfectly match with our Vintage Christmas Bags. 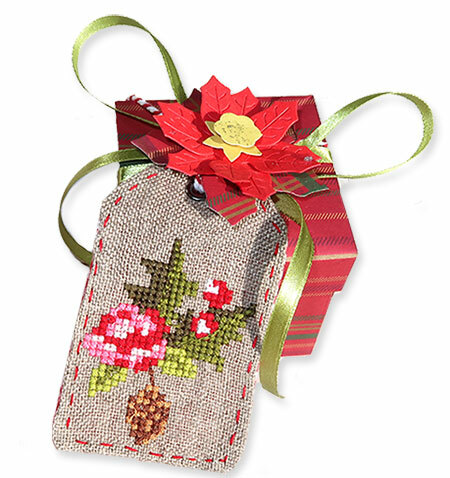 They have lovely cross stitch motifs that look like they were handmade. 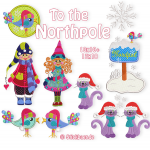 The whole file is done in the embroidery machine. There is no more work left then closing the small turn opening. And this can be done with a few running stitches. They close the opening and underline the handmade character. To attach a ribbon you attach a metal eyelet. When you don't have eyelet pliers you can attach a woven band. One tag only takes 15 minutes. 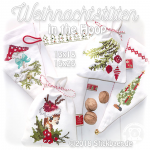 You need the 10x10cm hoop. 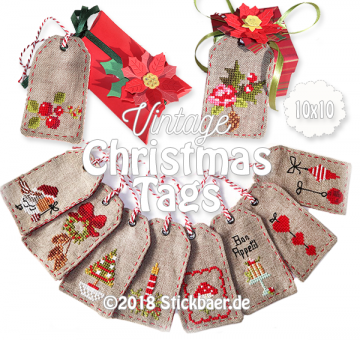 How they look when finished, what the real size is and a lot of samples for the Vintage Christmas Tags by our testers can be found here. 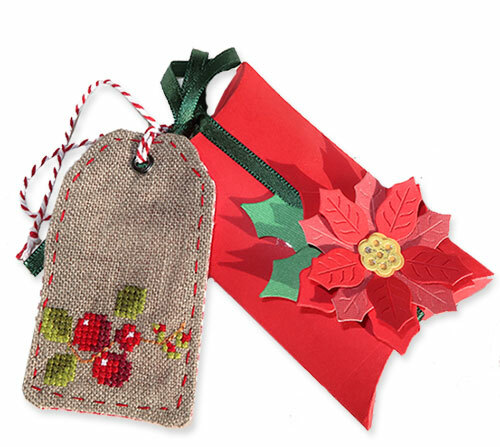 Christmas Cornet Bags 2 rectangle Bags 5x7"